Only the bravest dare to go to the "Devil's Pool". What an experience! Courage is rewarded with endorphines. Do you find hotel pools too boring? 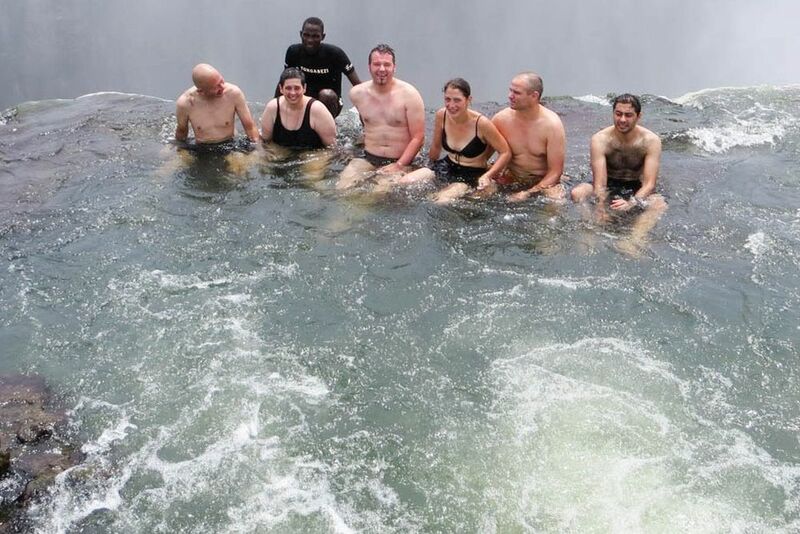 At the Victoria Falls - on the border between Zimbabwe and Zambia -, adventurous people can bathe in the precipice of the falls. 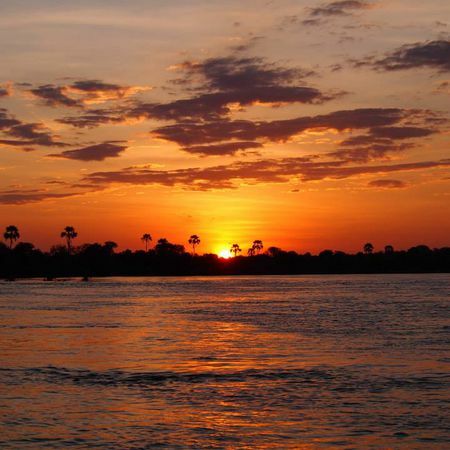 This is usually possible between September and December when the dry season is over and the water is low. The Devil's Pool is a small area of natural stone and behind it there's nothing but a chasm. Bathing is possible here, as a rock wall rises at the pool, so that the water falls from its edge 110 m in depth - a natural infinity pool with pure adrenaline! Do you find hotel pools too boring? At the Victoria Falls, on the border between Zimbabwe and Zambia, adventurous people can bathe in the precipice of the falls. This is usually possible between September and December when the dry season is over and the water is low. The Devil's Pool is a small area of ​​natural stone and behind it there's nothing but a chasm. Bathing is possible here, as a rock wall rises at the pool, so that the water falls from its edge 110 m in depth - a natural infinity pool with pure adrenaline! 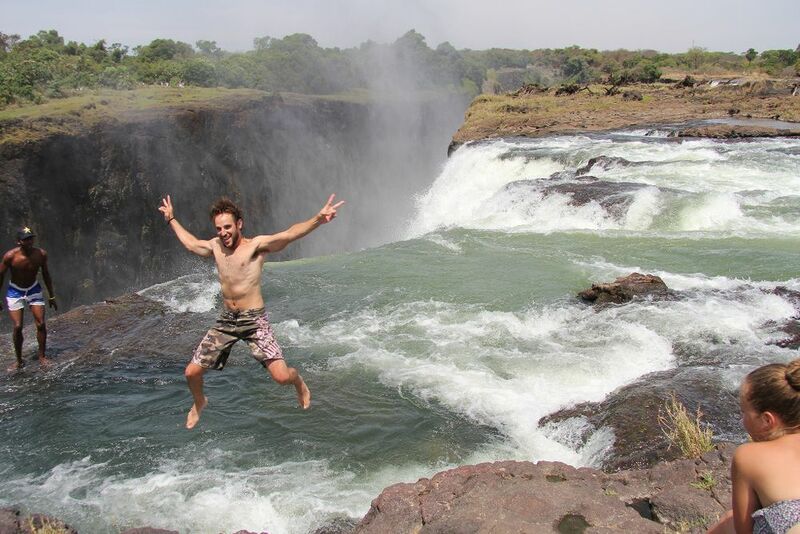 The Devil's Pool is accessible from Zambia via Livingstone Island. A guide introduces you and shows you where you can safely splash around in this natural pool. Anyone who dares to experience will leave with the knowledge that they have experienced something quite special, something unique! When was the last time you hit the precipice of one of the largest waterfalls in the water - an unforgettable event?. Start your journey with a relaxed and romantic evening.